On Sunday, Oct. 21, 2012 at 10 a.m. St. John United Methodist Church will celebrate its anniversary with guest speaker Rev. 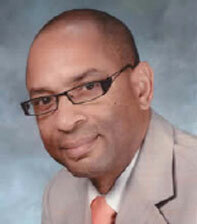 Harold D. Lewis, Sr. Director, Black Congregational Development- Florida Conference United Methodist Church. Rev. Lewis is a native of Greenwood, Miss. He holds a the Bachelor’s of Art Degree from Tougaloo College in Tougaloo, Miss., a Master’s of Divinity from Gammon Theological Seminary in Atlanta, Ga., and an Honorary Doctorate of Sacred Theology from the Reformed Methodist Church in Toledo, Ohio. He is active in a number of community and civic organizations including a Life Member of Kappa Alpha Psi Fraternity, Inc.
St. John is located at 1520 N.W. Fifth St., Fort Lauderdale, Fla.